HTC showcased the Desire 816 at.the MWC 2014 earlier this year. 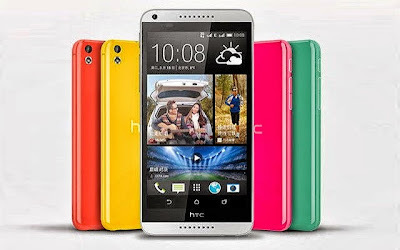 And HTC finally launched it in India along with the all new HTC One M8 and the Desire 210. The Desire 816 boasts a 5.5-inch HD display with 1280 x 720 pixels resolution. It is powered by a 1.6 GHz quad core Qualcomm Snapdragon 400 processor. Running on Android 4.4 KitKat out of the box with it has HTC Sense 5.5 on top. A 13-megapixel rear camera and a 5- megapixel front-facing camera is there for photography. And just like One M8 has dual-front-facing BoomSound speakers no compromise on sound here. The HTC Desire 816 is priced at Rs. 23990. And it’s available in various colour options starting today.